Thiago Silva is a great defender. But do you know what he fears the most? 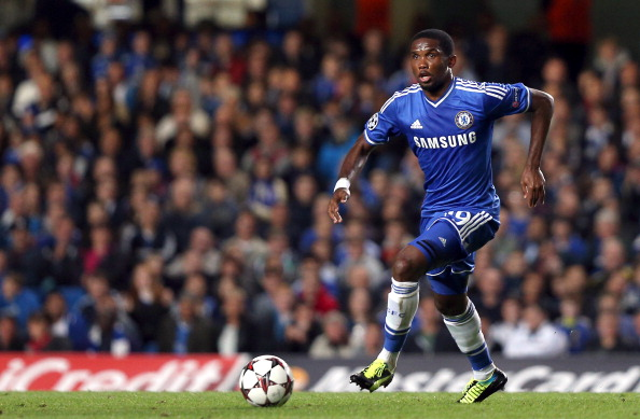 It is to come face to face with a certain Samuel Eto’o. Eto’o is a real surface fox. A talent honestly admitted by Thiago Silva whose country, Brazil, confronts Cameroon of Eto’o on June 23 during the final day of the group stage. The Brazilian defender of PSG revealed that Samuel Eto’o was the striker he feared most in the World Cup. “We met when he played at Inter and I at AC Milan, I got aware of his qualities. He is an experienced, exceptional who always comes in great shape,” said the captain of Brazil, who has already met the Chelsea striker in the quarter- final of the Champions League with PSG this season. “In the Champions League, he was not 100%, but even so he has influential, added Thiago Silva. He even gave me a shot in the ankle and I was a little hurt. He is a player with an impressive technical quality. He is a killer in small spaces. This is why he is the attacker that concerns me the most,” Eto’o will undoubtedly appreciate this praise. Next post The team, the star, our standard team: presentation of Ghana en route for the 2014 World Cup!